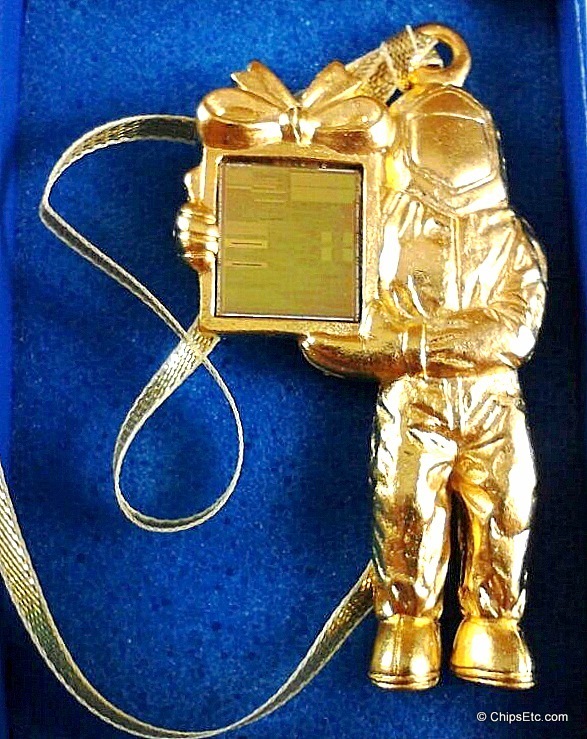 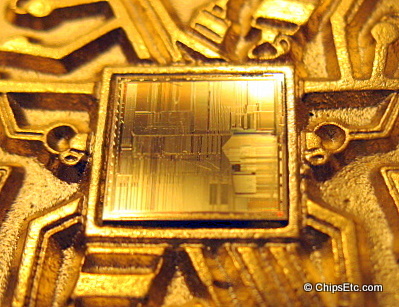 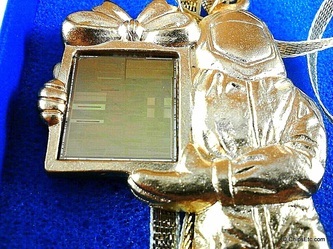 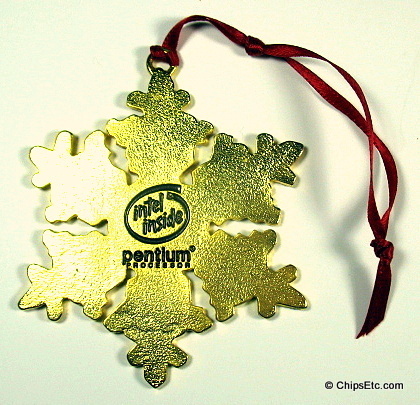 From 1995 to 1999, Intel promoted its Pentium & Pentium II line of processors with a full line of gold-plated jewelry and other promotional items that featured real Pentium processor chips in them. 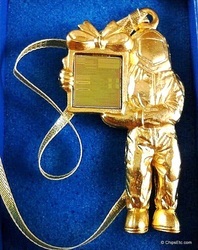 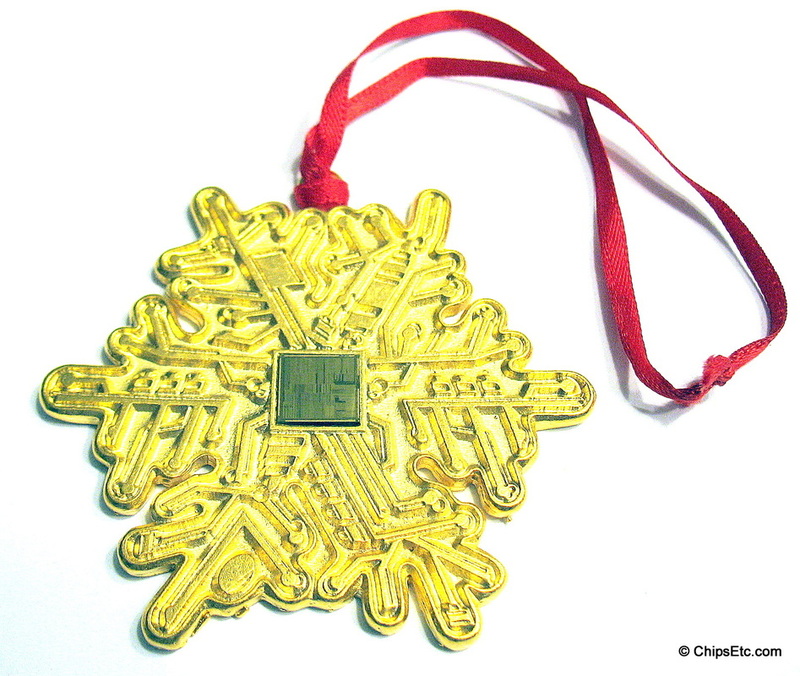 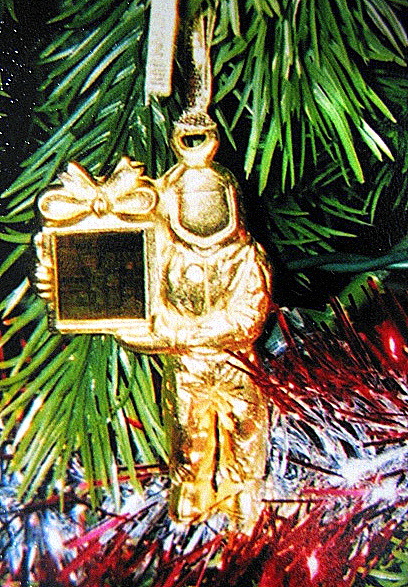 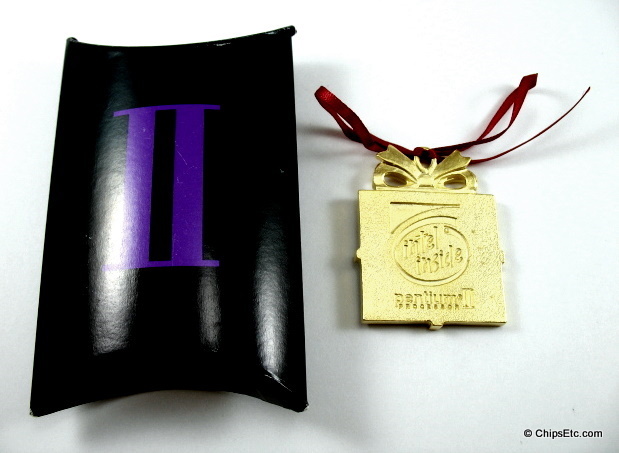 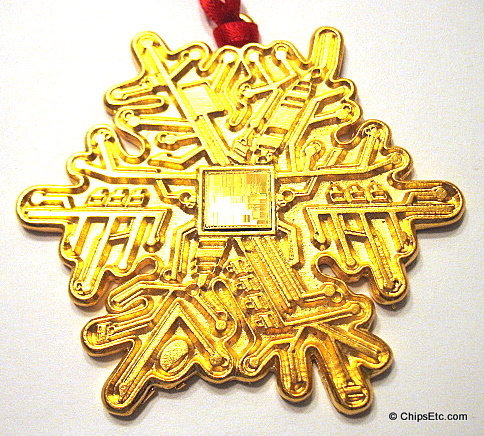 Among the items offered in Intel's fall/winter gift catalogs were these four versions of limited-release Intel Christmas ornaments which have become sought after by collectors of both Christmas ornaments and Computer chips. 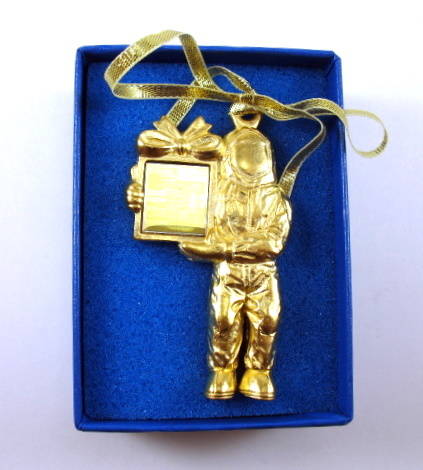 Hand cast pewter BunnyPeople character ornament with decorative gold plated satin finish and festive gold ribbon. 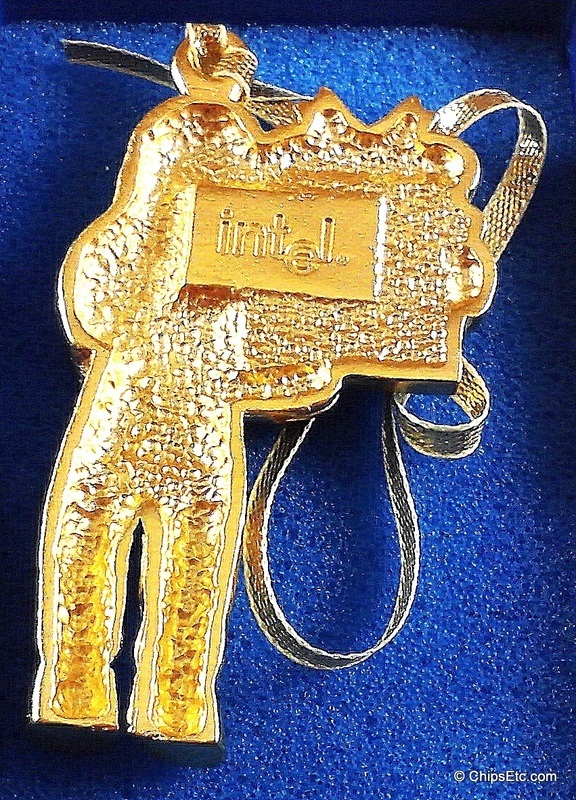 Features a real Pentium II processor chip and has the Intel logo embossed on the back. 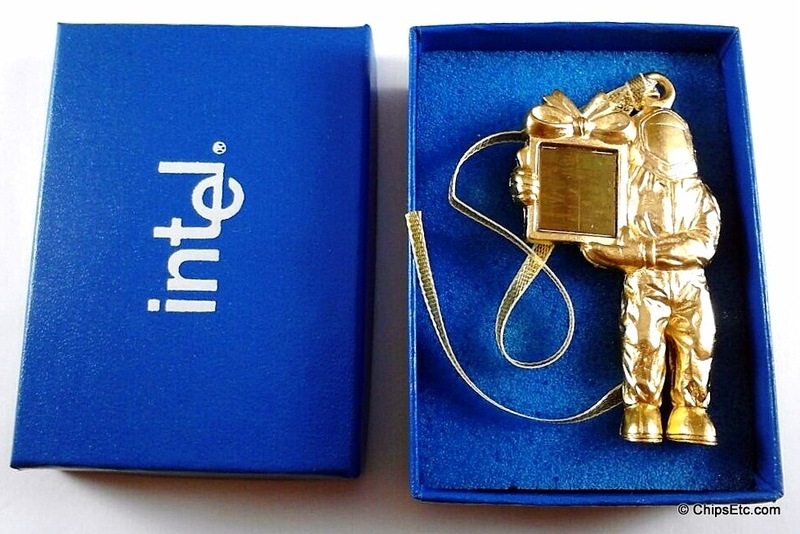 Comes in blue gift box with Intel logo. 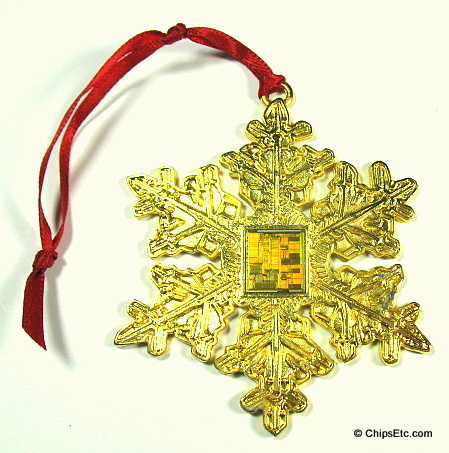 Uniquely Intel 1999 Fall/Winter gift catalog Item #1516. Item #931: The chip is marked "KLAMATH '94 '96" on the die. 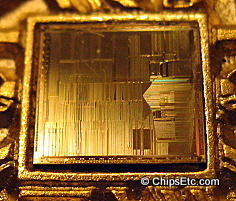 KLAMATH was the first version of the Pentium II Microprocessor that Intel released in May of 1997, designed for desktop computers. 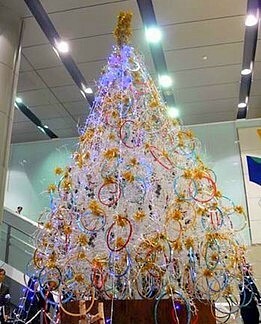 Also Item #'s 930 & 931. 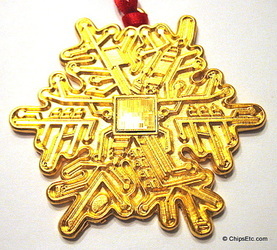 Hand cast pewter Snowflake Christmas ornament with decorative gold plated satin finish and festive red ribbon. Features a real Pentium processor chip on the front and Intel logo in red lettering on the back. 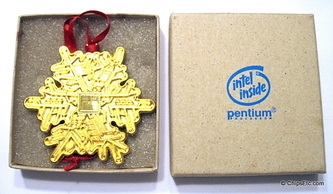 Comes in original gift box with Intel logo. 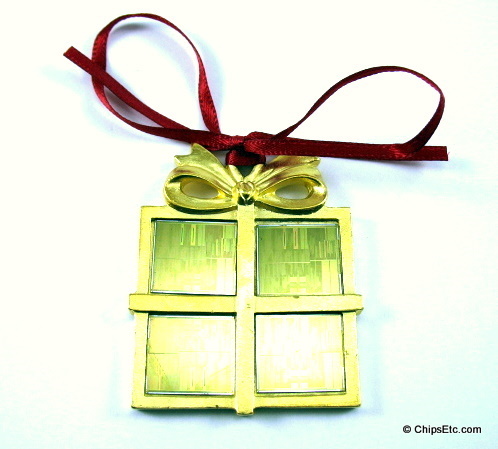 Hand cast pewter christmas ornament in the shape of a christmas gift box with decorative gold plated satin finish and festive red ribbon. Features four actual Intel Pentium II processor chips on the front and has the Intel logo on back. 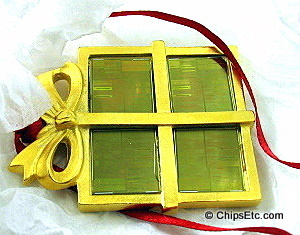 Comes in original gift box. 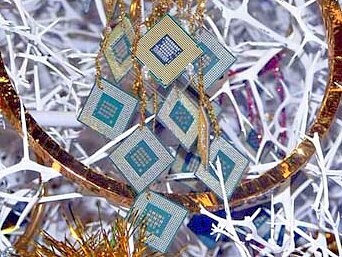 Unofficially - this may be the worlds first Intel "Quad Core" CPU package! This is a an early version of the limited-released Pentium Processor Snowflake Christmas ornament from Intel. 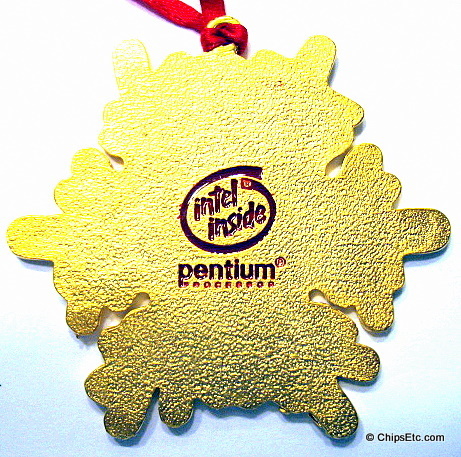 Features a real Pentium 80P54C processor chip on the front and Intel logo in black lettering on the back.